Our Funarena! : Heist Movie ‘Special 26’: An Engaging Real-Fake Drama! Heist Movie ‘Special 26’: An Engaging Real-Fake Drama! You cannot call them criminals or gangsters or thieves though their job is to steal only! They are all educated, suave and very intelligent. They show tremendous zeal, patience, will power and even ‘patriotic’ feelings. Their conviction is that they are only trying to mop up the surplus money or plainly speaking black money from corrupt politicians, unscrupulous traders and opulent businessmen. They are not the Robin Hood type either as they use their booty to maintain themselves rather than helping the poor and needy. Problem is you cannot help but love them and love-adore-enjoy this heist-drama-thriller movie ‘Special 26’ because of them! The movie written and Directed by Neeraj Pandey released all over on 8th February and is declared a super hit—one of the finest from Bollywood this year. 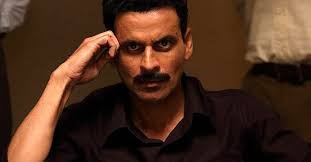 Special 26 is not a suspense flick, but you are sure to be regaled with a huge twist in the very end. The leader of this pack of thieves…sorry…con artistes is Bollywood action-comedy-masala hero Akshay Kumar and you love him too for his honest, realistic and powerful performance keeping his glamour totally away. You also love his chief associate Anupam Kher who is a normal village householder with an ever increasing pack of children and yet capable of posing as a stern intelligence officer mouthing powerfully convincing dialogues bordering on patriotism. The two other associates—Rajesh Sharma and Kishor Kadam—also belong to normal God-fearing families, but get transformed while on the ‘job’. No problems if you would lovingly like to call them the gang of four. The gang of con artistes poses as CBI (Central Bureau of Investigation) or Income Tax officials armed with proper IDs and conduct cleverly planned raids on corrupt politicians and trading houses relieving them of their opulence and even getting documents signed by them. Normally these people do not report the matter to the police or the media because of black money issue. The gang also takes along local police officers in the process of the raids and makes perfect fools of them in the end. 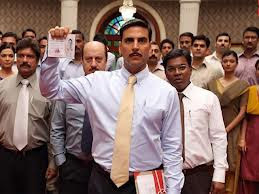 Special 26 opens with a CBI recruitment drive organized in a Mumbai five-star hotel where grave looking Akshay and Kher take the interviews, and then the movie gets into a flashback about earlier raids on a New Delhi politician and a Kolkata trader to bring you close to the plot. From the very opening frame the movie flows logically, convincingly and delightfully at a super pace never tiring you in the unfolding except for the totally unnecessary songs that interrupt the superbly woven script and takings. In fact, Kajal Aggarwal in the female lead too looked unnecessary except for adding some glamour dressing to Akshay. Manoj Bajapai plays the real CBI officer chasing the fake ones. In a bid to establish a very tough officer pitted against the very intelligent conmen the director takes you through a chase scene where Manoj finally traps and captures the fleeing criminal. The chase looks too long and too well crafted as it has no other relevance to the plot. It is refreshing to see Jimmy Shergill in a somewhat major role of a conned police officer who teams up with Manoj to track the gang. Such a gifted actor utilized so rarely and sparingly in Bollywood. Such a pity! 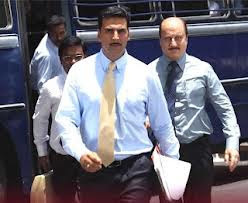 A Wednesday (2008) young writer-director Neeraj Pandey delivers again with another finely crafted film—based on real life happenings in 1987 when 26 con-men posing as CBI officers raided a big jeweler joint in prime Mumbai. Neeraj painstakingly created the sets and locations pertaining to the eighties and it was spot on. He has a strong eye for details, characterization and relationships with doses of subtle humor thrown in expertly. And there is no statement or justification on morality in his film which is a huge relief. With the con artistes becoming successful in the end that was kept wide open we can safely expect a sequel and why not.